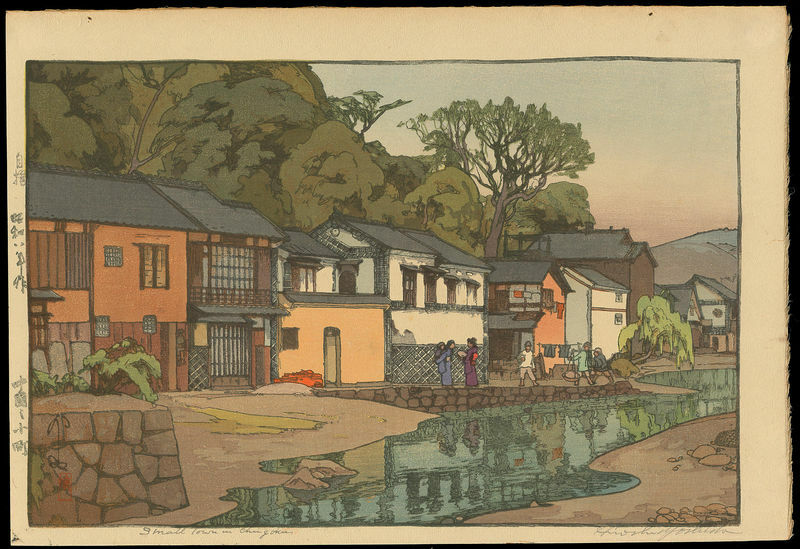 Yoshida, Hiroshi (1876-1950) "Small Town in Chugoku" - Woodblock - Chinese and Japanese woodblock prints for sale, silkscreen, scrolls, watercolor, lithographs. 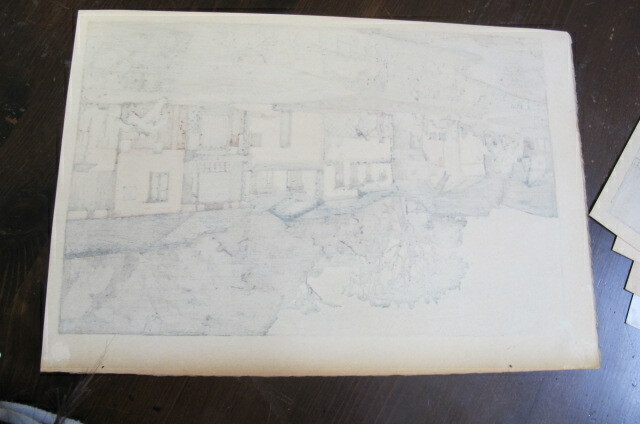 Artwork Details for Yoshida, Hiroshi (1876-1950) "Small Town in Chugoku"
Condition: Fine. Light even age toning on the verso. Remnants of original folder mount on verso. Notes: Early edition with the all-important jizuri (self printed) seal in the left margin and signed in pencil by Hiroshi himself in the bottom margin. Vivid, pristine colours. Signed in sumi ink, Yoshida, with artist's seal Hiroshi, in the image area. See a discussion of the jizuri seal here.